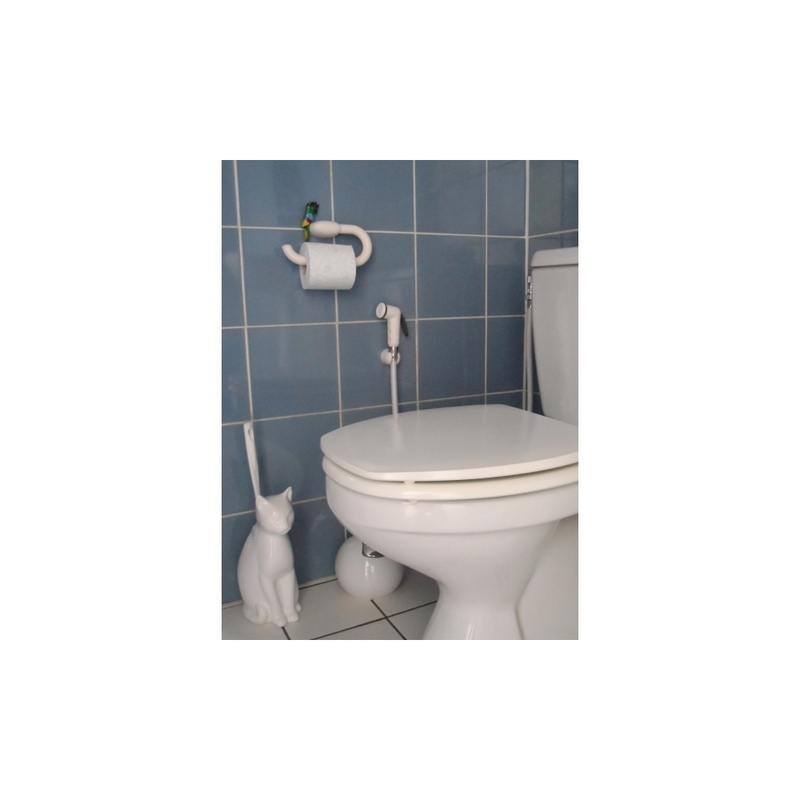 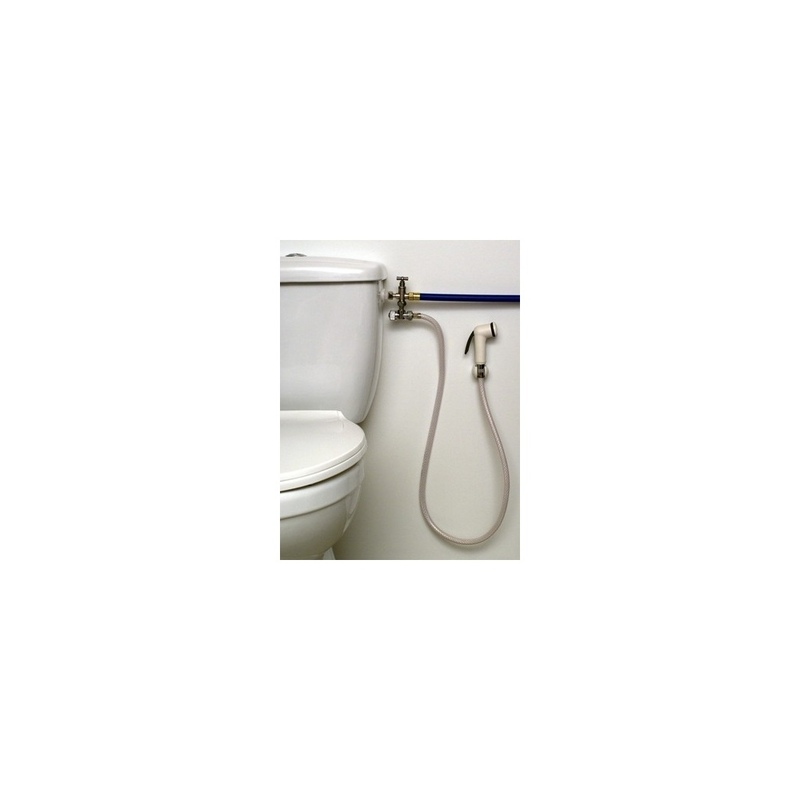 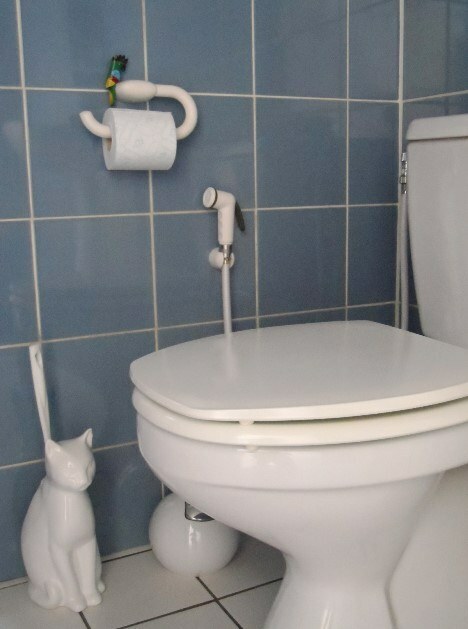 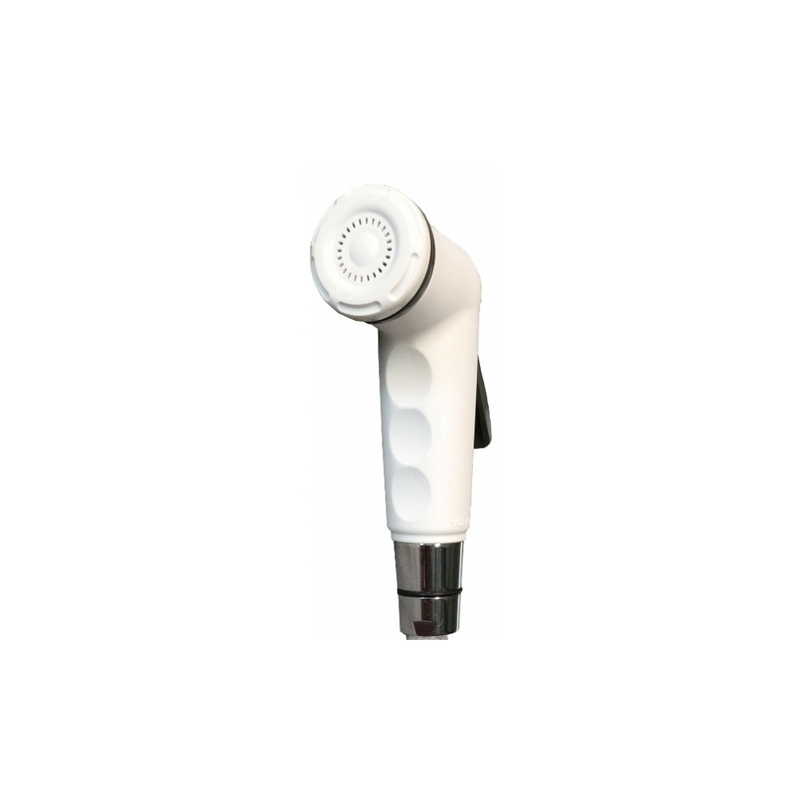 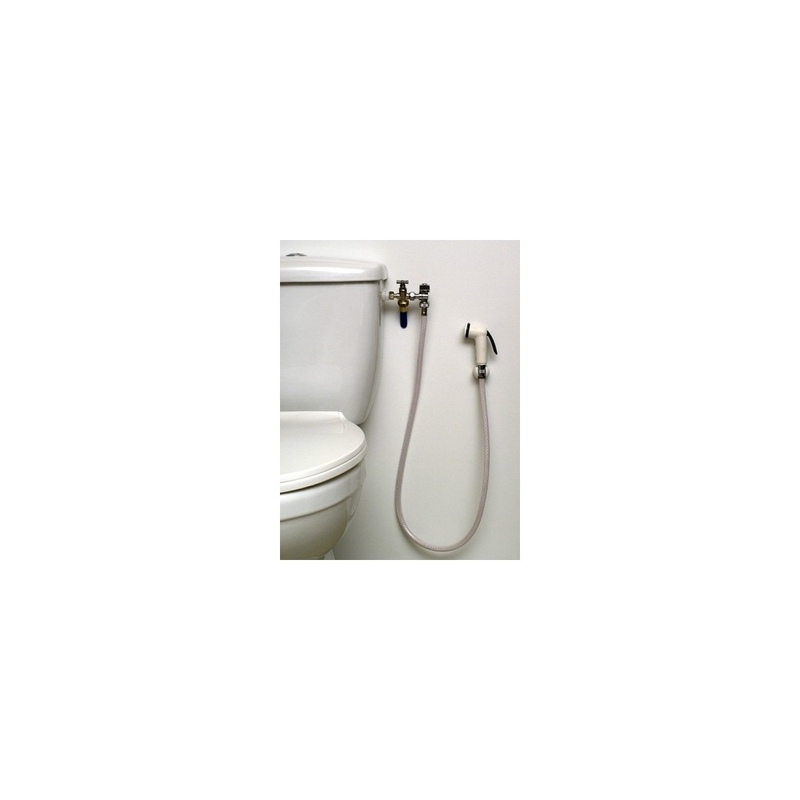 Our reference bidet spray design, in white and gray plastic. 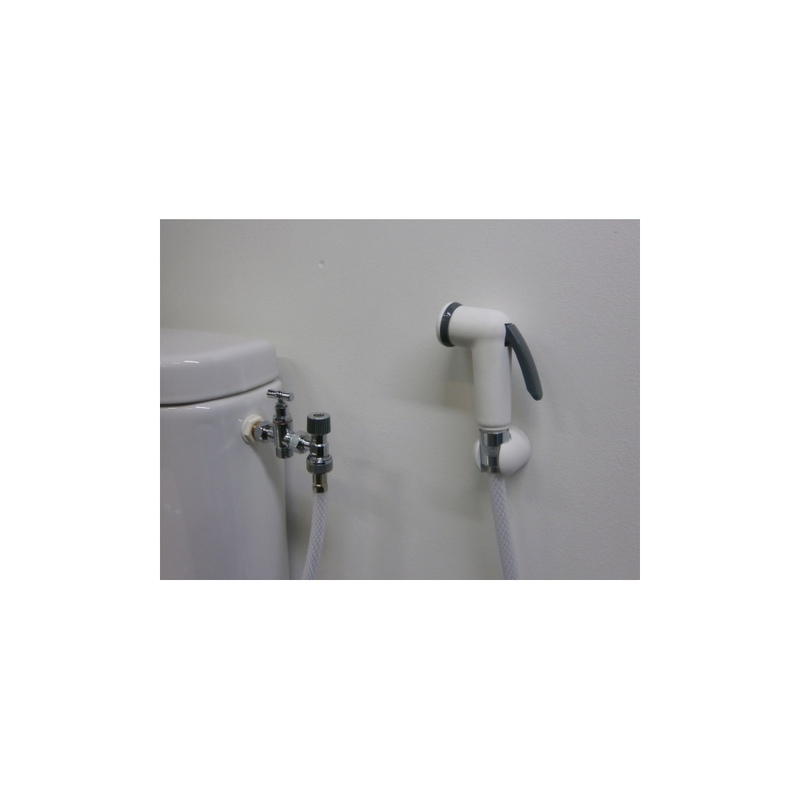 With the WiCi Concept bidet sprayer , get more comfort in using of the toilets, whether or not it is equiped with one of our hand wash basins. 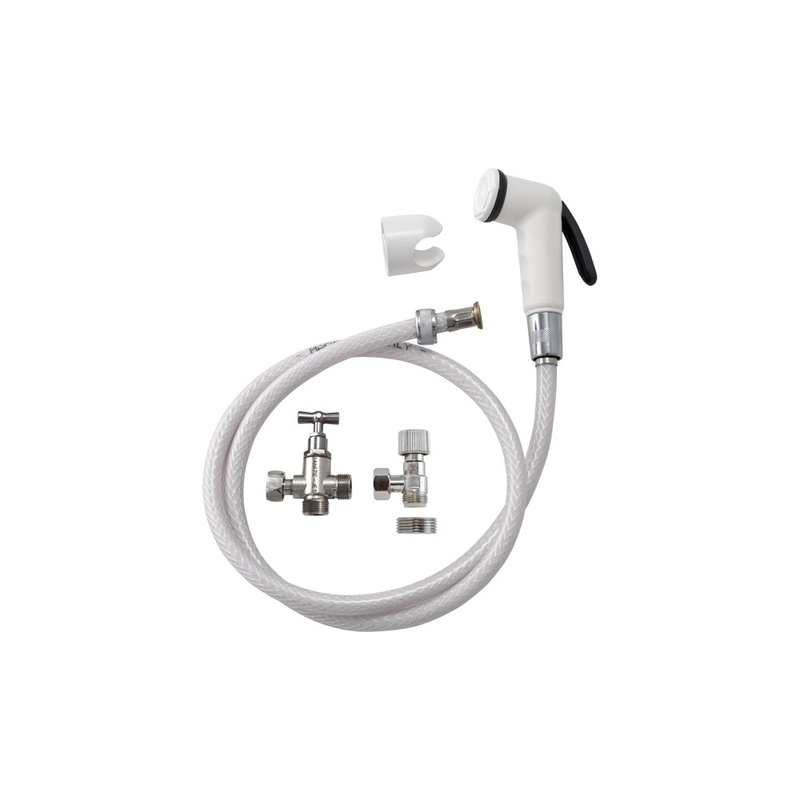 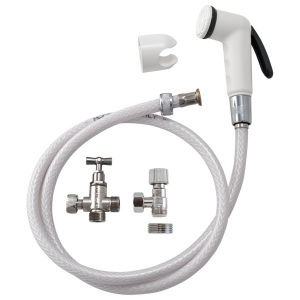 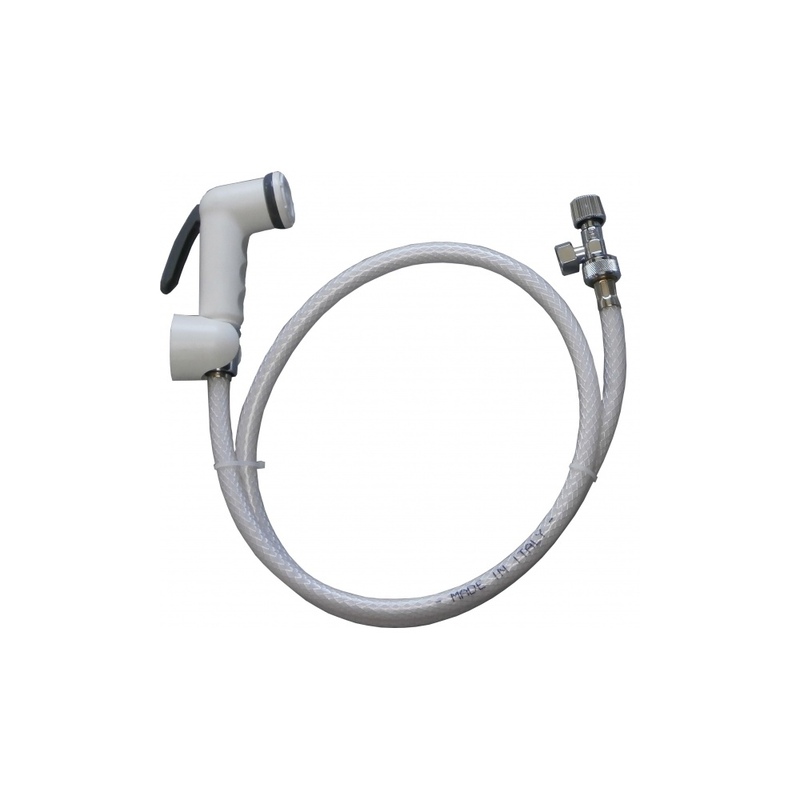 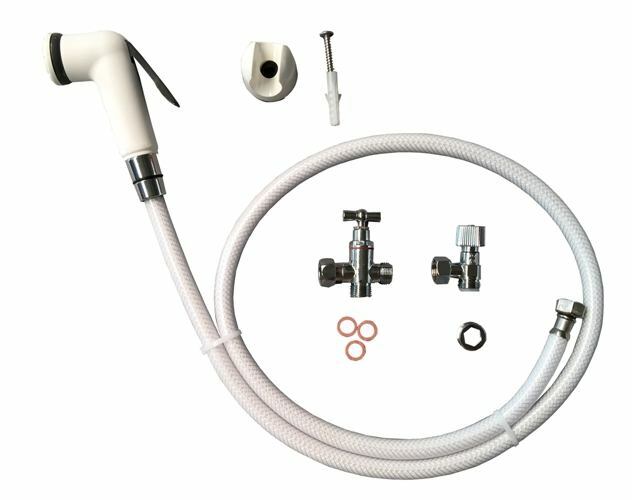 The WiCi Concept bidet sprayer kit contains our most excellent Sanitie Jet T-joint (1 « female » 3/8’’ lock nut + two 3/8’’ « male » outlets + 3 fiber t-joints + 1 plug), a specific stopcock with a knurled ball valve , a hosepipe with its adaptators and t-joints, and a top quality bidet sprayer with its wall support and its fittings. 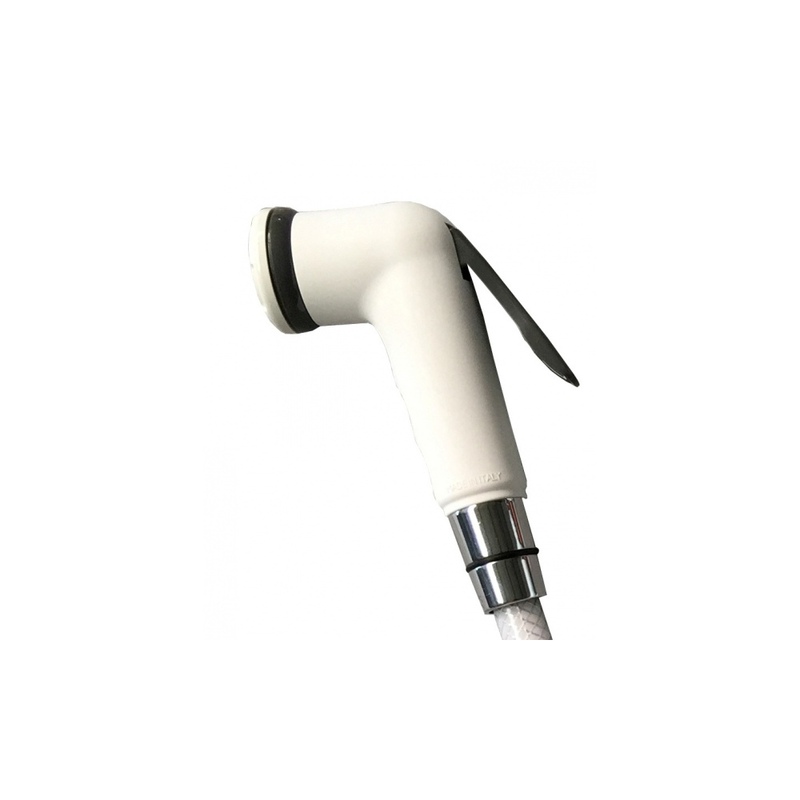 The spurt of the sprayer is regular, with no unwanted spatter and can be blocked when opened. 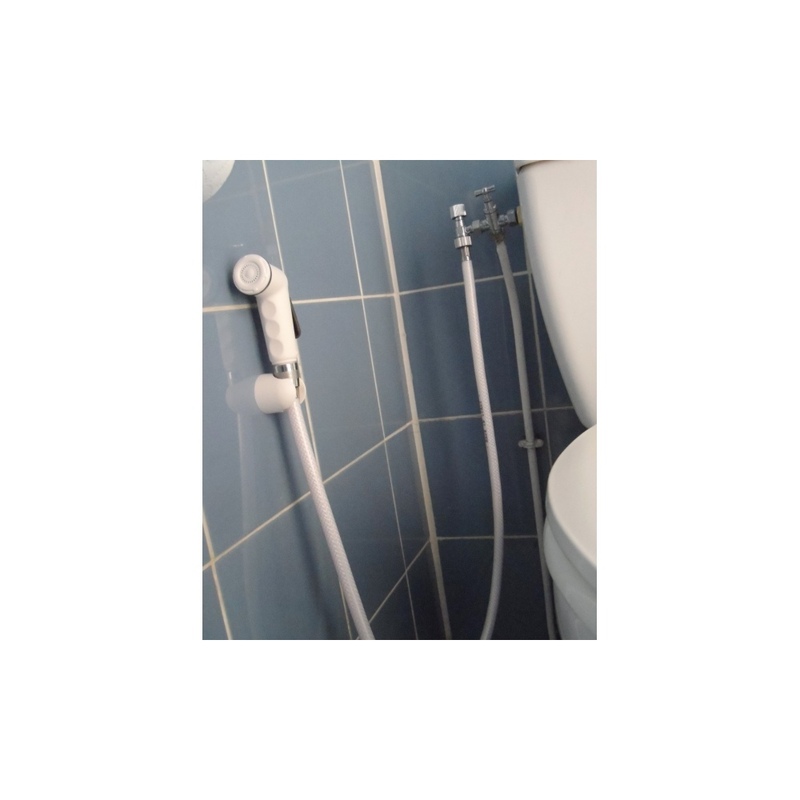 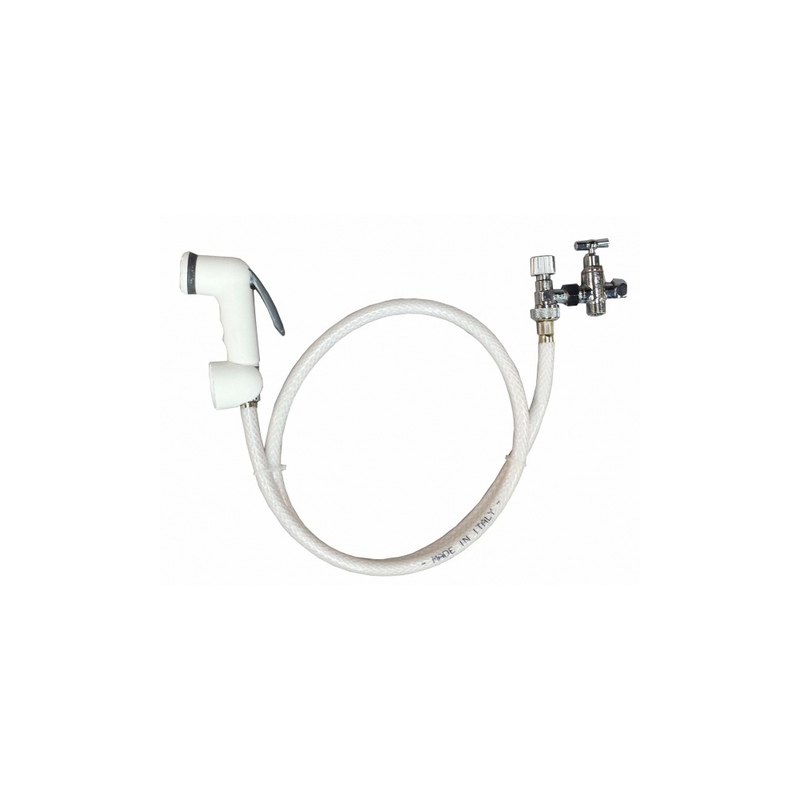 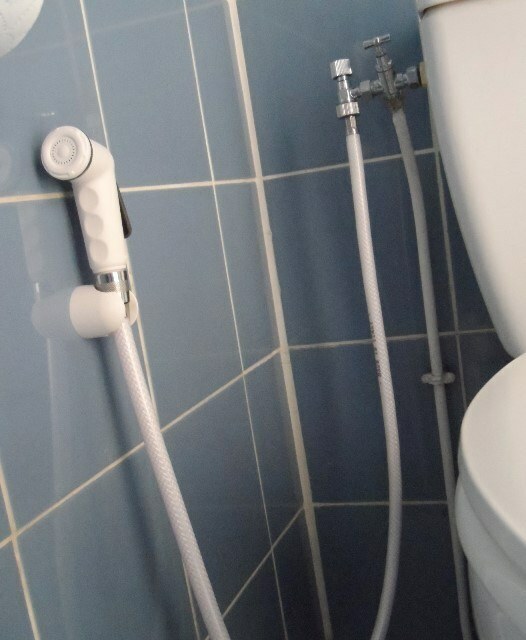 The spurt load can be easily controled thanks to its knurled tap (on the right on the picture below) : for example, you can choose to go easy with it for the cleaning of private parts but increase its flow when filling up a bucket ! 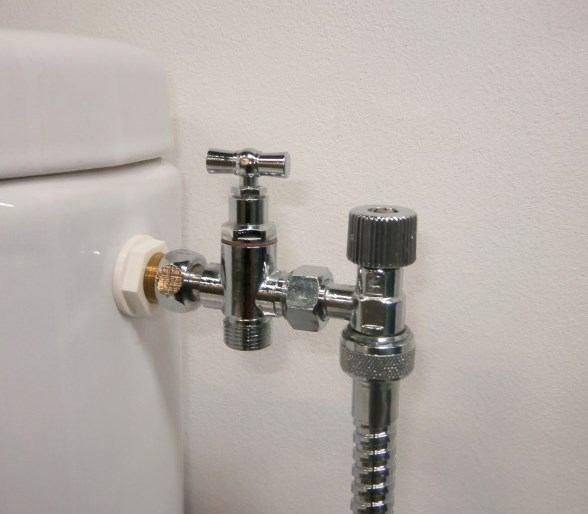 Everything you need is provided to put it together !